This is an excerpt from the article “Little Things Do Make a Difference” I wrote many years ago. I continue to be amazed at the impact a simple action like this can have on others. No one is exempt from times of need. My wife and I have found ourselves in life circumstances that gave an opportunity for others to help us. Every time, I have been surprised at the generosity of other group members. This past week is no exception. My wife had surgery last week that requires her to go through with a lengthy and painful recovery. Before her surgery took place, we were already blessed by others providing us a couple of meals. Since the surgery, a meal was delivered to us every day. We have also been blessed with gifts, cards, and short visits from several friends. Based on the generosity provided to my family this past week, I thought I would share 10 tips that your small group care ministry might benefit from. Coordinate food and visits so they are staggered out over time. Most people have limited refrigerator/freezer space. Only provide the amount of food needed for the size of person/family you are supporting. Inform the person/family of your plans in advance. Find out if there are any food preferences or allergies to take into consideration. Provide EVERYTHING needed (butter, salad dressing, etc.). A personal card or gift is very encouraging. Humorous cards can be great, but be sure it is right for the situation. Consider adding a personal note to the caregivers. Let them know you are also thinking of them. Periodically send an email or text message letting them know you are thinking of them. 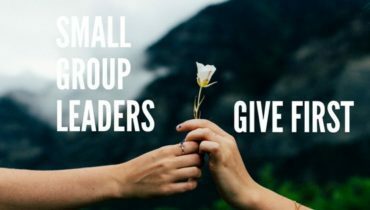 Consider other needs the small group can help with. Can you show love by caring for kids, pets, laundry, mail, etc.? These tips were inspired by what I have seen others do for us this past week. What isn’t visible, but also important, is the multitude of prayers asking God for healing on my wife’s behalf. God has blessed my family with tremendous friends. God’s love beams through them. I know I am not alone. There are many more tips that others can give from their personal experiences. 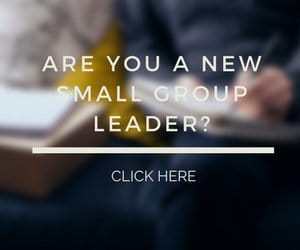 Question: Have you received help or provided help from small group members? What other tips do you have that could help a small group care ministry? You can leave a comment by clicking here.